I was 6 years old when my life changed forever. Violence in Mexico began to escalate and made its way to my neighborhood. One day my mother went out to the store, leaving my sister and I alone for 10 minutes. In that moment, there was intense gunfire outside the house. Drug cartel violence began to entrench our streets, our neighborhood. We were no longer safe. We were terrified and knew we had to flee. So, my mother made the brave decision to come to the United States first. Then, when we heard she was safe, my father, sister and I followed. And so, we began our perilous journey to the United States. For days on end, we were huddled together in a truck. I was young, but I remember being curled in the fetal position, knowing that I had to be quiet or something bad could happen. I remember being scared. But eventually we made it over the border. We made our way to our mother, who had found refuge in Virginia. In Virginia, we felt safer. We were reunited as a family, far away from the violence that affected our lives in Mexico. But we were still at risk. We wanted to start a new life, the right way. So, we immediately sought out legal support. This is when we found Ayuda. Facing possible deportation, we needed a way to stay here permanently. An attorney at Ayuda helped me secure lawful permanent residency. It took some time, but with that status, I was able to enroll in college. What I remember about Ayuda is that they asked about me, they were warm and friendly. Even before we talked about my legal situation, they wanted to make sure that I was okay. Ayuda gave me the ability to hope for a better tomorrow. I never had much hope of going to college because of my immigration status. Ayuda opened my eyes to new opportunities. Today, I am attending community college. I plan to transfer to George Mason University in Fall 2020. I want to become a lawyer and give back to those who, like me, want to achieve the American dream and make the world a better place. This is why Ayuda matters. 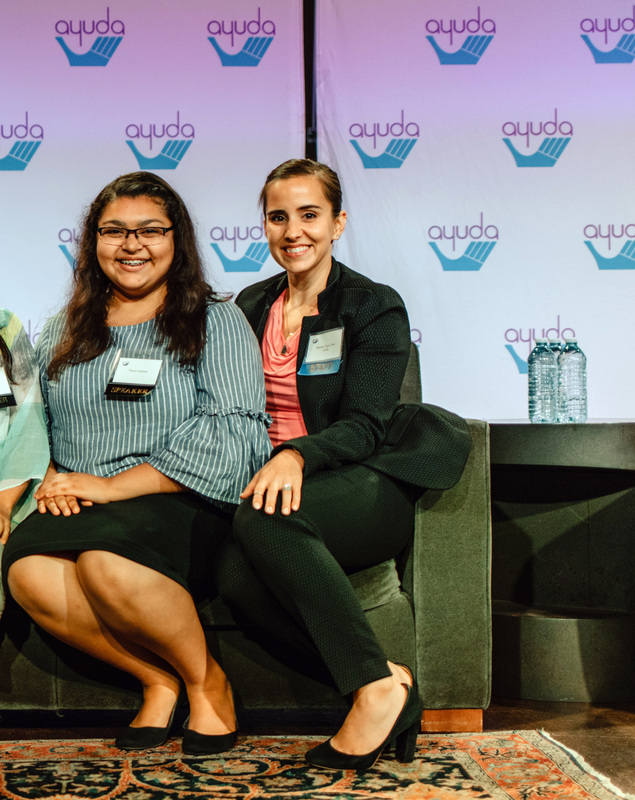 Ayuda is on the ground, helping immigrants to build a better tomorrow. There are many immigrants in the Greater Washington area who feel threatened and are living in fear. Your gift can make a difference. Your gift can change their lives. From the bottom of my heart, I hope you will give to Ayuda. Please, give today to help Ayuda stop abuses, transform lives, and strengthen communities. P.S. I was an immigrant, a child who fled violence in my home country, whom Ayuda helped. Today, I am college student—safe, grateful, and hopeful. Please, give what you can to Ayuda today.